Many of us suffer from migraines and they are even more common in women than in men. Now researchers have found that young women, who have those migraines with auras, are twice as likely to have a stroke. Based on the research by scientists from the US, France and Germany and who have published their results in the British Medical Journal online and Stroke, a journal of the American Heart Association, the risk to women is greater if they are under 45, they smoke and they are on the contraceptive pill. 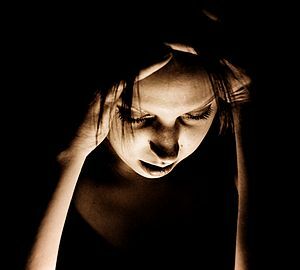 Markus Schurks of the Harvard Medical School, who led the research, says population studies show that up to a third of migraine sufferers experience auras with their migraine headaches. He added that when you consider that as many as 40% of young women suffer from migraines, you can see that it really makes an impact on the health of the population. So what can you do if you are fall into this risk group? Well of course if you are under 45 and suffer from migraines with aura, you should give up smoking as soon as possible. You should also speak to your doctor or gynecologist about changing to different form of birth control rather than the pill. It is thought that contraceptives containing ostrogen could be a contributing factor. Take this advice to heart to avoid a stroke even if you are not in the risk group covered by this recent research. Establishing regular sleeping hours and ensuring you get enough sleep even when on holiday or over weekends. Sleeping in a quiet and darkened room. Learning to follow stress management techniques or a relaxation routine. Avoiding tea, coffee or cola drinks especially before going to sleep. Avoiding heavy meals before going to sleep. It is the classic migraines that come with the distinguishing aura appearing a few minutes before the onset of the migraine. This aura can consist of flashing lights, the appearance of zigzag lines and may even include temporary vision loss. The classic migraine symptoms can be a throbbing pain in the forehead, temple or jaw, speech difficulty, sudden weakness in an arm or leg and a general feeling of confusion. This migraine type can last up to 2 days. The attacks appear and end spontaneously. For some, this is about once a year, for others it could be as often as once a week. There are two types of medicine used for treating migraines – namely prophylactic medication (taken every day to reduce the severity and frequency) while the other is abortive medication (only taken if a migraine begins). Botox – yes, not only used for making your face look younger! Acupuncture which has offered relief and a better quality of life to some sufferers. Chiropractic massage, spinal manipulation and periodic adjustment of joints and soft tissue. This treatment has had some positive results. Or natural treatments made from essentials oils and applied to the forehead, neck, temples and soles of the feet to start the healing process to treat migraine headaches. If you get migraines regularly, you want to treat them as quickly as possible and you will want to avoid the risk of a stroke particularly if you are in the risk group.